astles and fortresses, kings and dukes: since the dawn of time and through the centuries they have inspired the imagination and our feeling of romance. In the beautiful baroque castle in Bad Homburg vor der Höhe, this spirit is being brought to life in a unique way with the "Castle Concerts" series. What was made possible by the aristocrats and lords of the manor as patrons of art in times gone by - pieces of music with immortal value - is now being shared with audiences in our time thanks to generous sponsors. After all, there is no better place to capture the spirit of the music and feel its soul more deeply than in the historical atmosphere of those times where it was created and heard for the first time. With this exceptional masterpiece by Wolfgang Amadeus Mozart the Rubin Quartet is following this historical track. While Haydn was still composing for the nobility, Mozart's K 387 came about in a time of artistic reorientation and independence. Mozart had lived in Vienna, the city of great freedom, since 1781. He had exchanged the position of court musician at the Salzburg archbishopric for the life of a free musician. At Christmas time in 1782 he began a six-part quartet cycle, the first piece of which was K 387, inspired by Haydn's string quartet op. 33, which had appeared in the same year. Mozart showed his huge respect for the great master in the dedication: "To my dear friend Haydn". ver the years, the Rubin Quartet, founded in 1992 and named after the ruby, has gained a unique reputation among string quartets. Since its foundation, the quartet has been characterized by a very wide repertoire and vivid performances. In its first year, the Rubin Quartet won first prize at the Bubenreuth/Erlangen international string quartet competition, in 1997, the prize for best Mozart performance in Evian, and in 2000, first prize at the "R. Hartung Stiftung" international string quartet competition. The Rubin Quartet began performing at the Amsterdam Concertgebow in 1995. Since then, they have given regular performances there, with Ian Bostridge and Julius Drake among others. 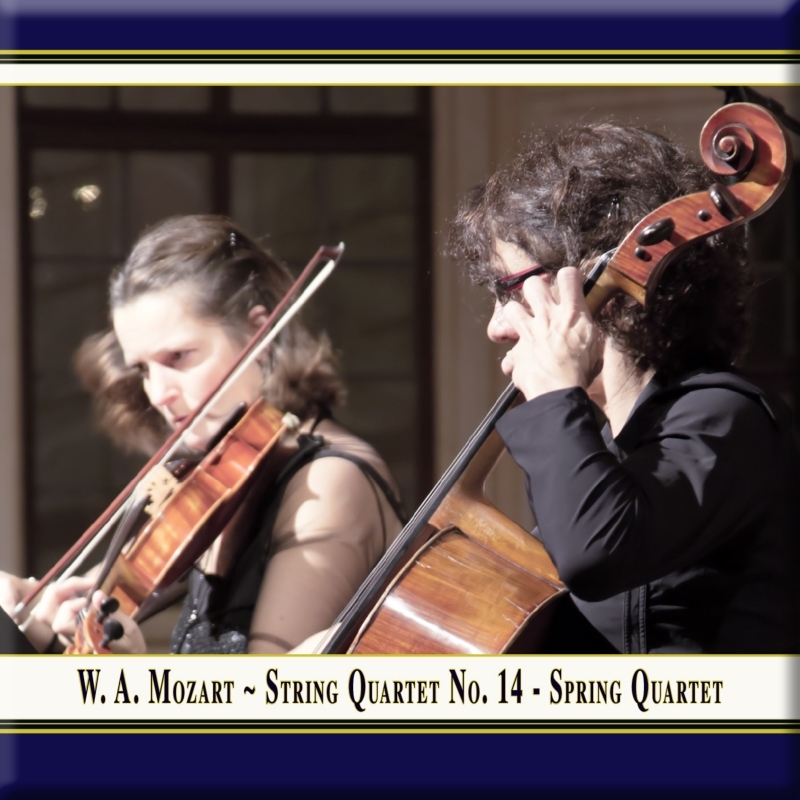 The quartet performs at Europe's leading concert venues and at a number of prestigious festivals, such as Luberon string quartet festival, Fréjus, Santander, Valladolid, Milan, Bremen Musikfest, Rheingau-Musikfestival, Schwetzinger Festspiele and the "Printemps des Arts de Monte-Carlo". In 1998, the quartet performed at the Dortmund "Streichquartett-Event". In 2000/2001 they were invited to perform at the Oslo Chamber Music Festival with the pianist Andrej Gavrilov. In 2002, the Rubin Quartet embarked on a long-term association with the Scène nationale in Poitiers, France. They performed Bela Bartók's six string quartets there in 2002/2003, building up from public rehearsals to master classes, performances and concerts. Composers such as Carola Bauckholt, Caspar Johannes Walter, Franz Olbrisch and Reinhard Febel regularly write works for the quartet, which premieres them at Festivals, such as the "Tage für zeitgenössische Kammermusik" in Witten, Wien Modern, the "Rheinisches Musikfest" and Musique-Action Vand'oeuvre-lès-Nancy. The Rubin Quartet's close association with composers such as Helmut Lachenmann, Györgi Kurtág, Silvia Fómina and Sofia Gubaïdulina has provided the quartet with tremendous artistic impetus, just as the encounter with Amadeus Quartet, Raphael Hillyer and Jörg Wolfgang Jahn.